It's time for another installment of Reading the Hugos and it's time to either go big or go home. Since I'm already sitting at home while I write this, I think I'm going to go big and cover the abundance of excellence up for Best Series. There is so much goodness here that it isn't even fair. Best Series last year was a trial run, a special one time category (pending the ratification at the WSFS business meeting at last year's Worldcon) - which makes this the first full year of the category. I'm probably the only person who is going to think of things like this. If last year was a proof of concept and this year represents the very high bar we should expect from the Best Series quality, we're looking at one of the strongest categories on the ballot year after year. The series I ranked lowest on my ballot is exceptional. The only challenge here is that there is a lot of reading to do to at least get a brief overview of each series, let alone do a deep dive. Let's take a look at the finalists for Best Series. The Books of the Raksura: I've only just come to Martha Wells via her excellent Murderbot novellas, though I had long intended to get to her novel length work - whether her Ile-Rien novels or The Books of the Raksura. What better time than now? This isn't necessarily a new thing for fantasy (or science fiction), but I don't read many novels with non human protagonists. The Cloud Roads is one of them. The Raksura are humanoid (sometimes), but are shapeshifters and I don't quite now how to describe their other (primary?) forms. Dragon birds? Ultimately, it doesn't matter. What matters is the story of Moon, a raksura who doesn't know what he is. 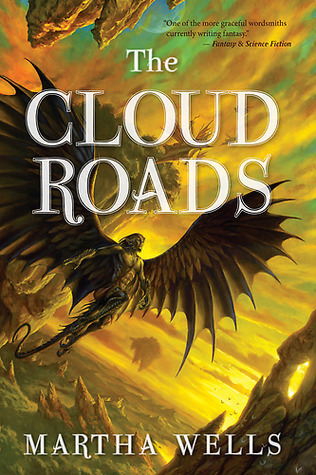 The Cloud Roads serves as introduction to the wider world and the series as a whole. The reader discovers along with Moon what it means to be a raksura. Wells is a fantastic and accomplished storyteller. I regret that I'm only able to evaluate the series based on the first (excellent) novel, but as with every series on the ballot, I've run out of time to read more than I have. The good news is that I've discovered another series that I'm really excited to read more of. Incryptid: After a five year gap between reading the first and second volumes of McGuire’s October Daye I was ready to fully embrace the series and spend the summer immersed in McGuire’s world. That plan was shot to hell when Incryptid, one of McGuire’s other series, was a finalist for the Hugo Award for Best Series. With the inclusion of the Best Series category, there is a LOT of reading to do for the Hugo Awards and Toby Daye was just going to have to wait. Discount Armageddon introduces readers to Verity Price, a cryptozoologist / ballroom dancer spending a year in New York City where she has to decide if she’s going to take up the family trade of studying and protecting “supernatural” creatures from humans OR if she’s going to embark on a full time career in ballroom dance. It’s a conundrum. All of those legendary mythological creatures we’ve read about? They’re real and many of them are living among us, some in disguise, some in hiding, and some just living in the sewers. They’re not like the myths, but they’re even more fully realized than what we might come to expect. They’re people, except a completely different species. Several species, actually. The Incryptid novels are so silky smooth, but tense and occasionally intense. There’s plenty of action and new monster trivia and deep dives into particular creature cultures. The first two focus on Verity Price, the third on her brother Alexander as he works in Ohio doing his own thing for the family. The change in perspective was initially jarring, but McGuire handles the new viewpoint character perfectly and midway through I realized Half-Off Ragnarok was my favorite of the three Incryptid novels I have so far read. I thought this was going to be the summer of October Daye, but it may well be the summer of the Price family. I will only have read the first three novels in the series by the time Hugo voting ends, but I will be working my way through the rest of the series this year. I’m hooked and I’m ready for the next four (as of this year). Maybe I’ll get back to Toby Daye next year. 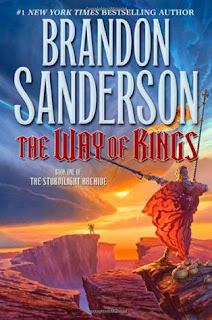 The Stormlight Archive: I wonder if there will be a point in the future where Brandon Sanderson's entire Cosmere will be up for Best Series. I can see it happening. 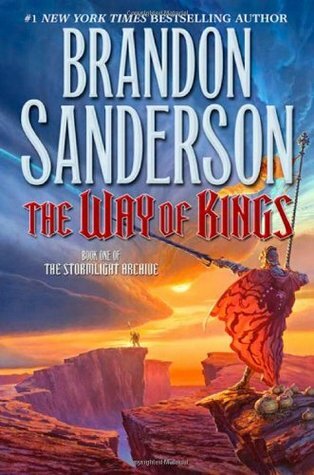 Happily, this finalist slot is for the three books so far published in The Stormlight Archive: The Way of Kings, Words of Radiance, Oathbringer. These are each epic fantasy writ large. Sanderson's magnum opus. Each volume is approximately a googolplex of something long (words, pages, doesn't matter). They're great, but damn. It's a lot. That's not really a complaint. Just a statement. At this point I've only read The Way of Kings and Words of Radiance. Both were exactly what I was looking to read at the time I read them. Oathbringer has been on the nightstand by my bed since before it was published, looming, intimidating. I know I'm going to love it, but it's a commitment. Regardless, The Stormlight Archive is an achievement of worldbuilding and long form storytelling. With only three books published thus far, the overall shape to the series is just beginning to form. Which is why, as good as these books are, I have a very difficult time saying this is the Best Series. It's one thing voting for an incomplete series that is mostly done It's another thing voting for a series that is only 3 books out of 10 complete. It's a good batting average in baseball, but it isn't good enough to push it to the top of my ballot. The Memoirs of Lady Trent: There are two novels part of a Hugo Finalist series which I seriously regret not reading sooner. One is A Natural History of Dragons. The other is written by Lois McMaster Bujold and I'll talk about that one soon enough. Despite all of the praise Marie Brennan's novel received, there was something about the combination of the book cover (which is gorgeous, but not selling me as something I want to read) and the idea the series was "memoirs" of a "lady" that I found offputting enough to never pick up the book. Though, I did borrow it from the library once only to return it unopened. That was so very much a mistake. A Natural History of Dragons is absolutely wonderful and that wonder is tied to the glorious voice of Isabella Camherst. 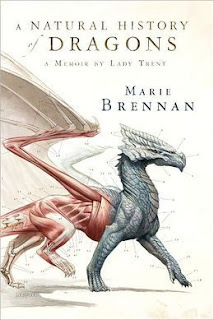 Isabella is the titular "Lady Trent" of the series, and concept of A Natural History of Dragons being the first volume of "The Memoirs of Lady Trent" means that the much more accomplished Lady Trent is narrating her life and adventures. Late in life, Lady Trent is known as the foremost expert on dragons but in these early days, little is known by anyone. So, the first novel and presumably the series as a whole is a story of discovery and adventure. If the rest of the series is as good as A Natural History of Dragons, we're in for something special and I really, really should have been reading these books as they were published. This does mean, of course, that I have only read the first volume of The Memoirs of Lady Trent and can only place it on my ballot based on one book rather than the full set of five. That's just the way this category goes, unfortunately. It is also a mark of just how good A Natural History of Dragons is. The World of the Five Gods: Before the Hugo finalists were announced, I had read five of the six Penric novellas set in the World of the Five Gods, but none of the novels. So, I read The Curse of Chalion and re-discovered that I should always read everything written by Lois McMaster Bujold without question. My only defense is that I had not yet read anything by Bujold when The Curse of Chalion was first published in 2001 - but that's not much of a defense because she had published many books in the Vorkosigan series by that point (winner of the 2017 Hugo for Best Series, naturally). The Penric novellas are very good. 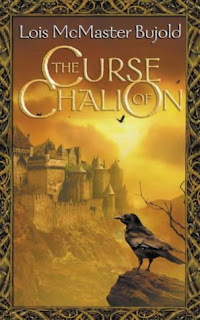 The Curse of Chalion is exceptional. With complete honestly, I was slightly angry when I finished it. Not because I didn't like it, but because I wasted so many years that I could have been reading this wonderful book and series. Next up, Paladin of Souls and The Hallowed Hunt. The truth is that readers should never sleep on Lois McMaster Bujold because she's always going to deliver a fantastic book and reading experience. As I mentioned, the Penric novellas are very good, but they only hint at just how good The Curse of Chalion was. The strength of Chalion pushes the entire series up the ballot. The Divine Cities: Despite being my favorite of all the finalists up for Best Series (and the only one I had fully read prior to the announcement of the ballot), I have struggled to figure out my angle into writing about The Divine Cities. Each novel in the series was fully exceptional in its own right and, equally impressive, the sum of the series is even stronger than the individual volumes. The Divine Cities is urban epic fantasy with dead gods, magic, bureaucracy, and wretched tragedy (this could also be a description of a Max Gladstone novel). Each novel is self contained, but builds strongly off of the emotional beats of the previous work. You don’t need to have read a previous volume, but the emotion of City of Blades is strengthened by having gone on the journey of City of Stairs. The opening of City of Miracles works as a standalone set piece, but the rawest power comes from having lived the characters. 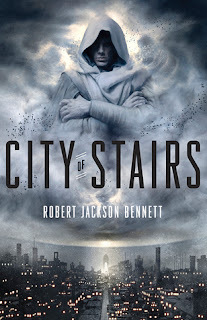 Somehow I have less to say about the Divine Cities than I expected, except to say this: City of Stairs, City of Blades, and City of Miracles were each among the best two or three fantasy novels published in their respective years. I can only give these novels my highest recommendation. They are absolutely fantastic. The trilogy hits the mark in telling a complete story spread across decades. If you like epic fantasy, you should read these books. If you like good books, you should read these books.